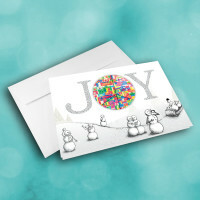 These smiling snowmen will surely bring a smile to all who receive this joyous card. 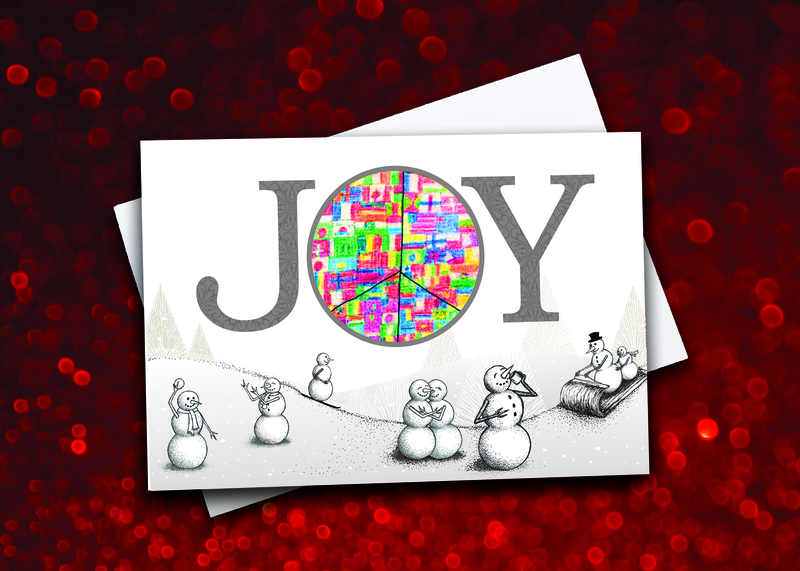 Send this wonderous snowman holiday card to spread positivity in the holiday season. 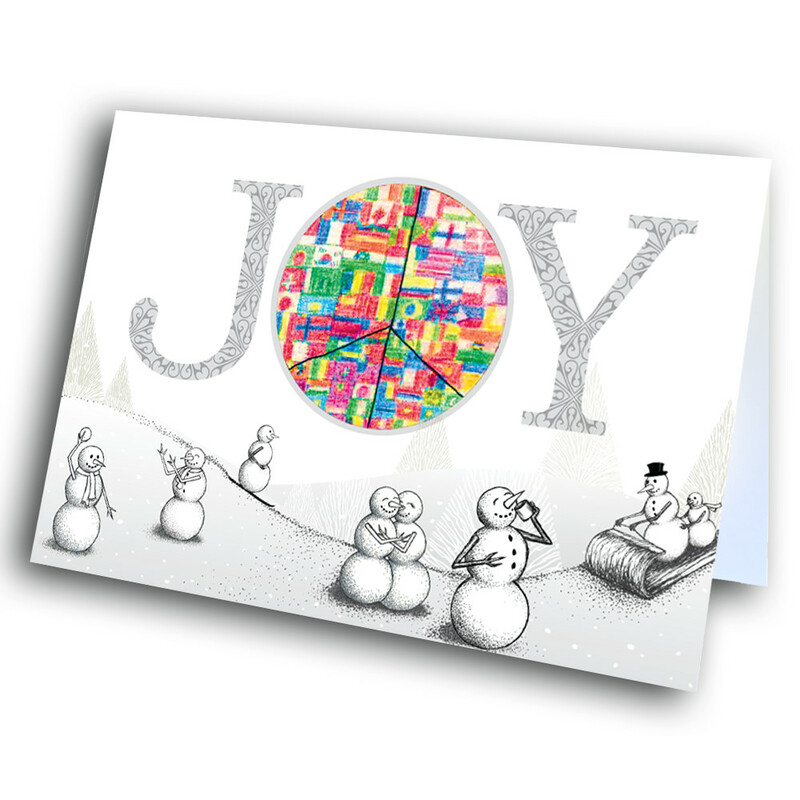 The message of joy sits front and center; enveloped within this message sit the world's flags, all coming together in peace. Underneath, joyous snowmen frolick and play in a winter wonderland. 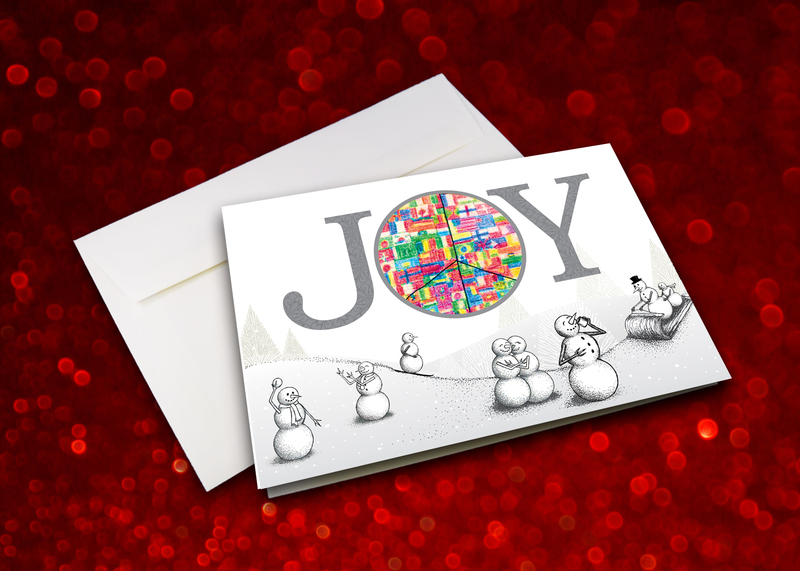 The inside is intricately patterned with snowflakes, and contains the warm message. 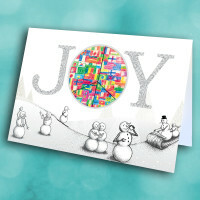 Personalize this message to make this a truly unique holiday card.